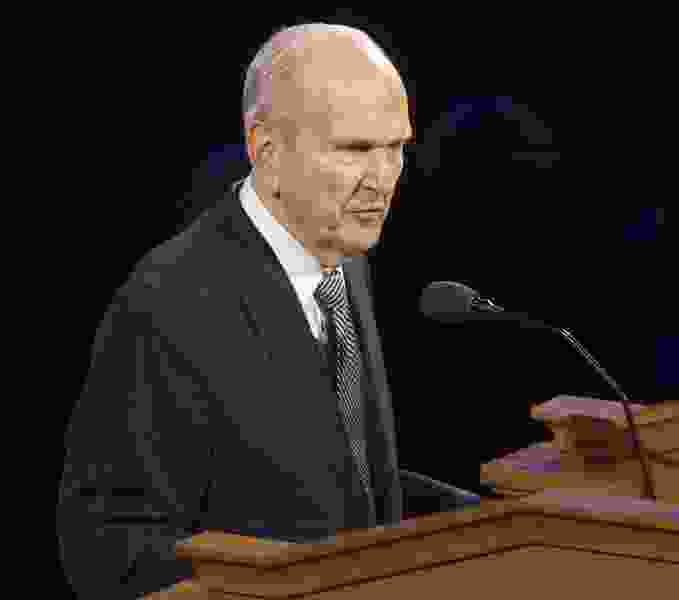 Steve Griffin | The Salt Lake Tribune President Russell M. Nelson speaks during funeral services for Mormon apostle Richard G. Scott at the Tabernacle in Salt Lake City, Monday, Sept. 28, 2015. For the first time in nearly a decade, a new signature appears on the letters sent to would-be Mormon missionaries — that of Russell M. Nelson. With the death last week of President Thomas S. Monson, Nelson became the senior leader in The Church of Jesus Christ of Latter-day Saints. It became Nelson’s responsibility to sign 1,150 “calls” in the characteristic “white envelopes” to full-time missionaries. In 2012, the faith lowered the minimum age of young missionaries from 19 to 18 for “elders” (males) and from 21 to 19 for “sisters” (females), which dramatically increased the missionary corps from 58,000 to nearly 90,000. Today, the church has nearly 67,000 missionaries, the release said, serving in 421 missions around the globe. Sometime after Monson’s funeral, set for noon Friday in the Conference Center in downtown Salt Lake City, the remaining Mormon apostles are expected to meet and select a new church president. As the longest-tenured apostle, Nelson, 93, is widely expected to become the 17th president of the nearly 16 million-member LDS Church.